H. Moser & Cie. reinterprets one of the most poetic watch complications with its Endeavour Perpetual Moon Concept, a new model that gives central stage to the large moon displayed at 6 o’clock. 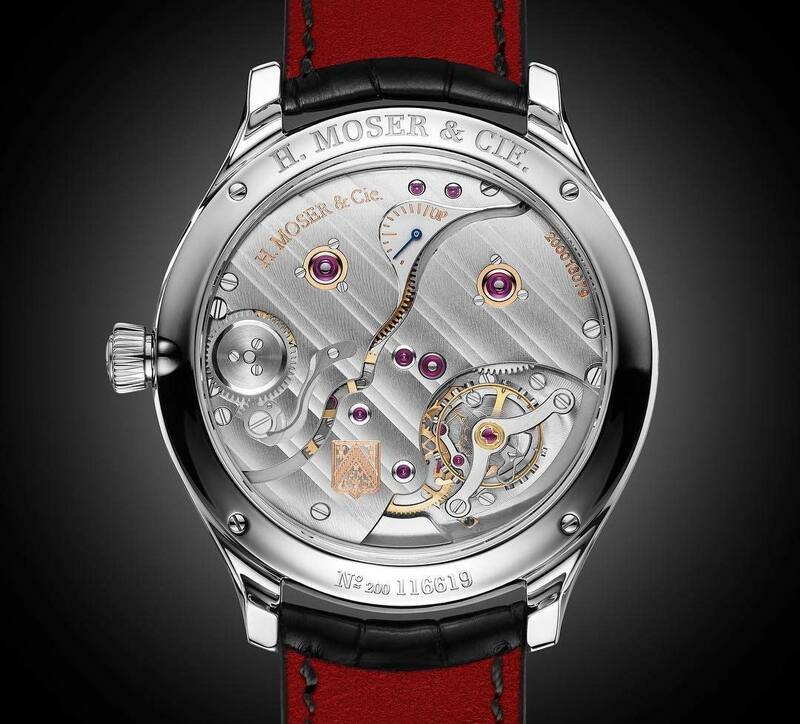 Protected by a sapphire crystal, the Concept dial - with no logo nor indices - is ideal to highlight the beauty of the satellite representation. 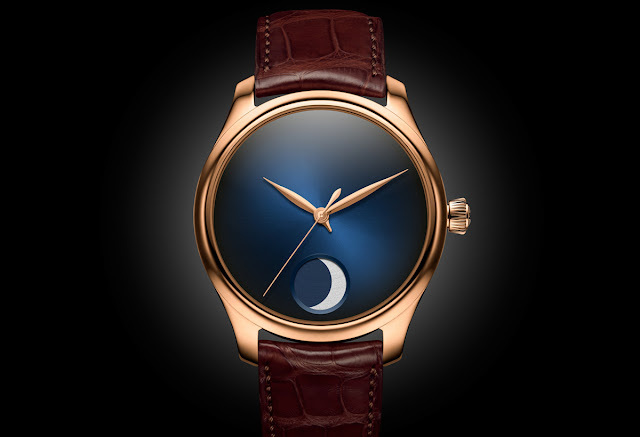 This new model is available in two variations: in red gold with a midnight-blue fumé dial (ref. 1801-0400) or in stainless steel with a special dial made from Vantablack (ref. 1801-1200). This is an ultra-black coating considered the darkest substance of all, used in astrophysics in telescopes and by the army as thermal camouflage. Composed of vertically arranged carbon nanotubes, Vantablack is capable of absorbing 99.965% of light making this dial the darkest ever produced so far. 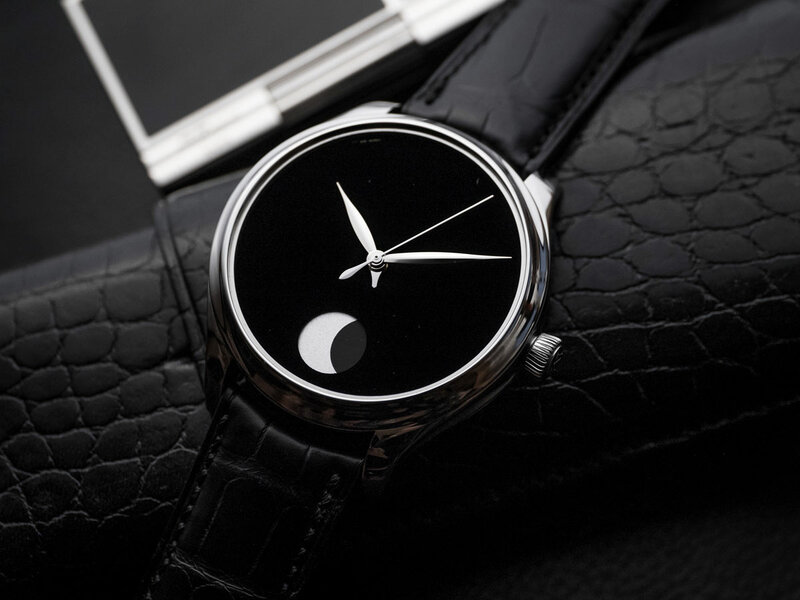 The dial is completed by leaf-shaped hour and minute hands, central seconds and the small AM/PM hand (hours 12 to 6 o’clock representing AM and 7 to 11 o'clock representing PM). 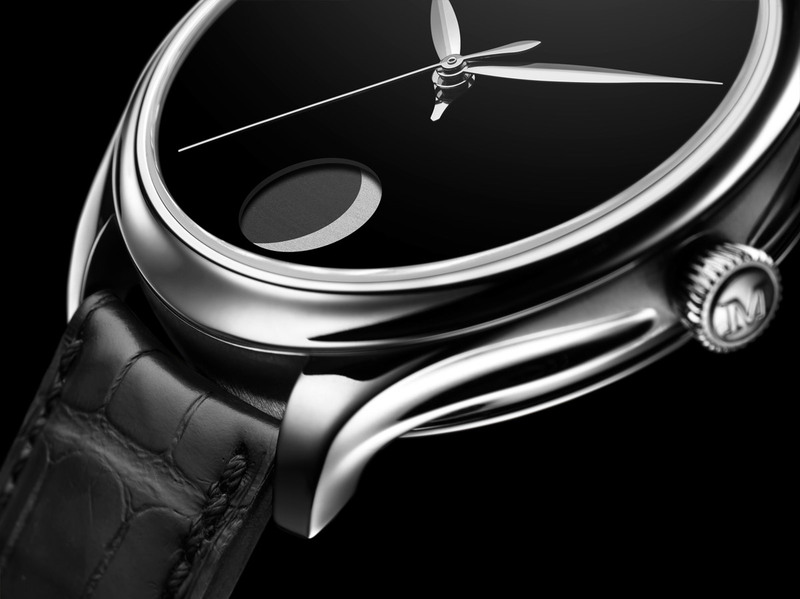 The 42 mm x 12.9 mm case of the new Endeavour Perpetual Moon Concept is equipped with 2.5 Hz (18,000 vibrations per hour) HMC 801 hand-wound manufacture calibre which offers a remarkable power reserve of seven days thanks to its double barrel. 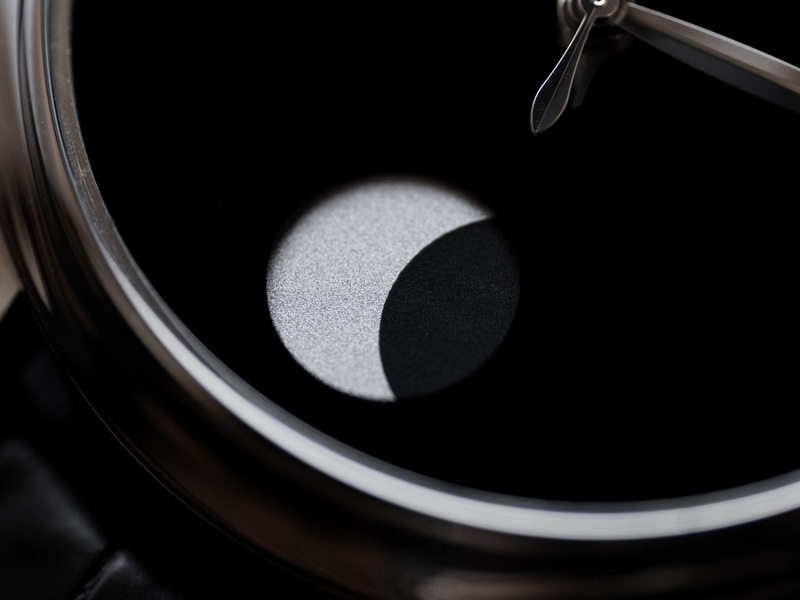 The moon-phase system can be easily adjusted using a push-button on the side of the case. With a daily gap of a mere 0.23 seconds per day compared to the actual moon's orbit, this movement will have a one day's deviation every 1027 years! 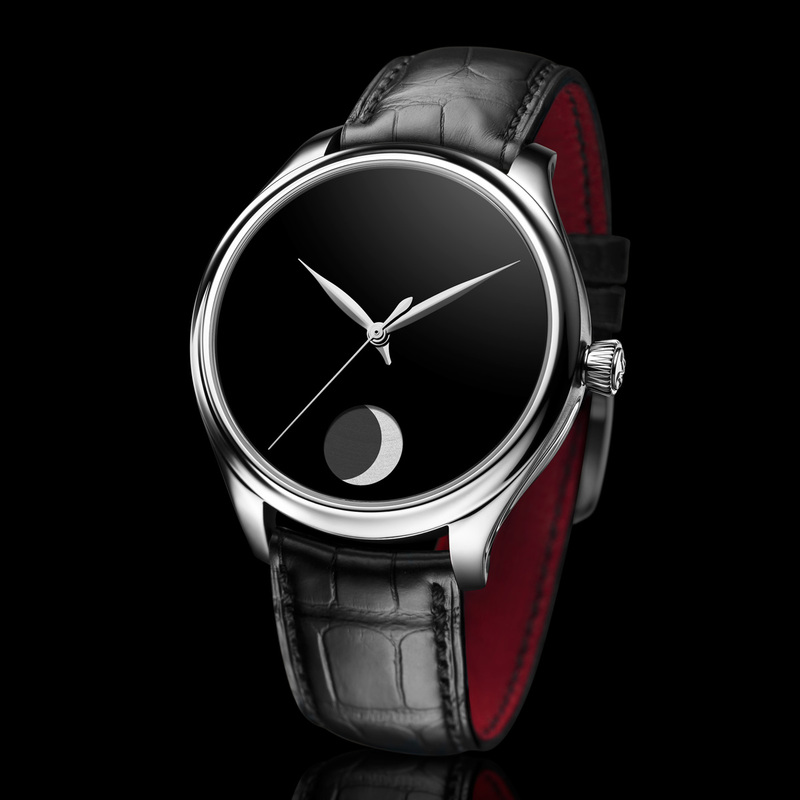 This makes the Endeavour Perpetual Moon Concept one of the most precise moon phases on the market. 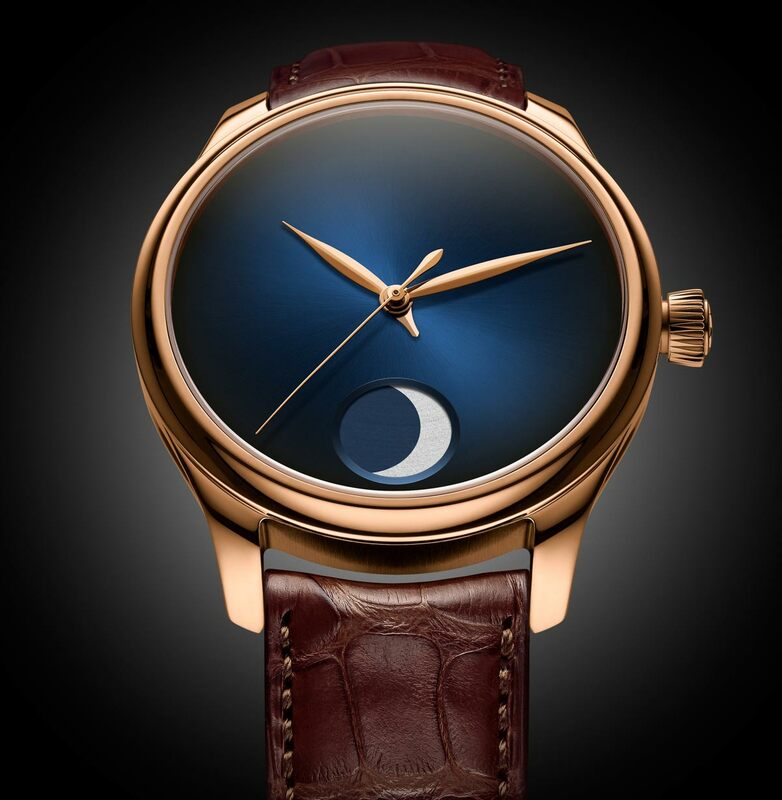 This is a beautiful piece but I really don't see the need for the am/pm small hand.